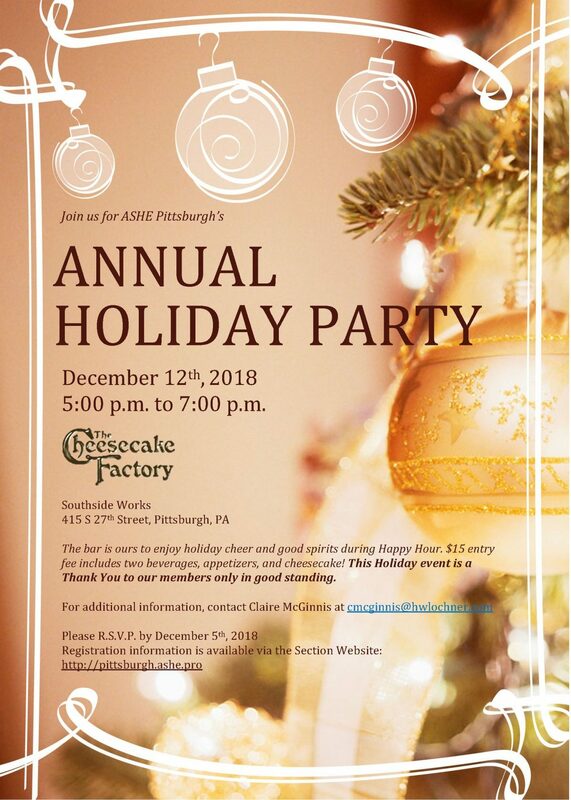 Join us for ASHE Pittsburgh’s Annual Holiday Party! The bar is ours to enjoy holiday cheer and good spirits during Happy Hour. $15 entry fee includes two beverages, appetizers, and cheesecake! This Holiday event is a Thank You to our members only in good standing. For additional information, contact Claire McGinnis at cmcginnis@hwlochner.com.